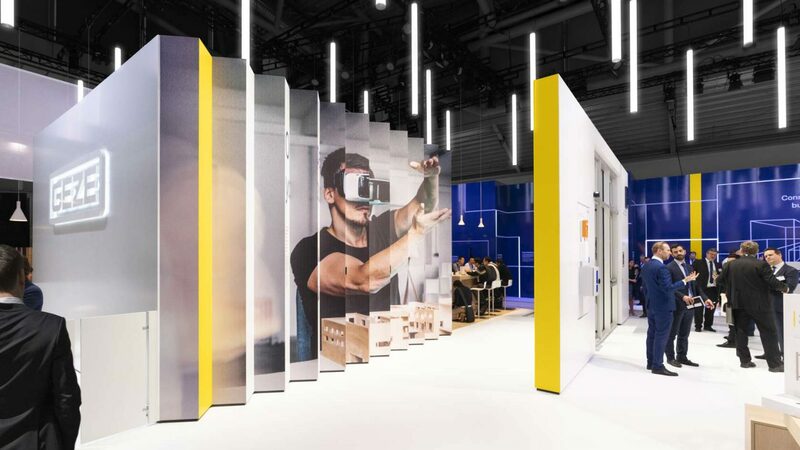 At BAU 2019, the world's leading trade fair for architecture, materials and systems, GEZE presented itself with a new spatial brand presence developed by Milla & Partner. 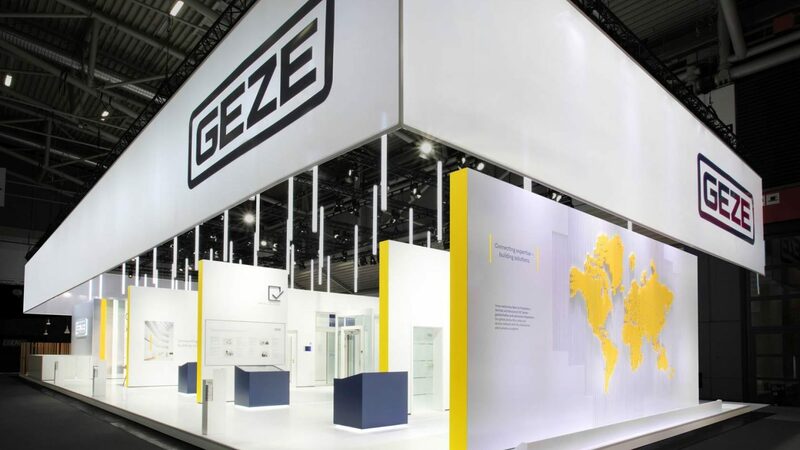 When it comes to door, window and security technology, GEZE is the specialist. 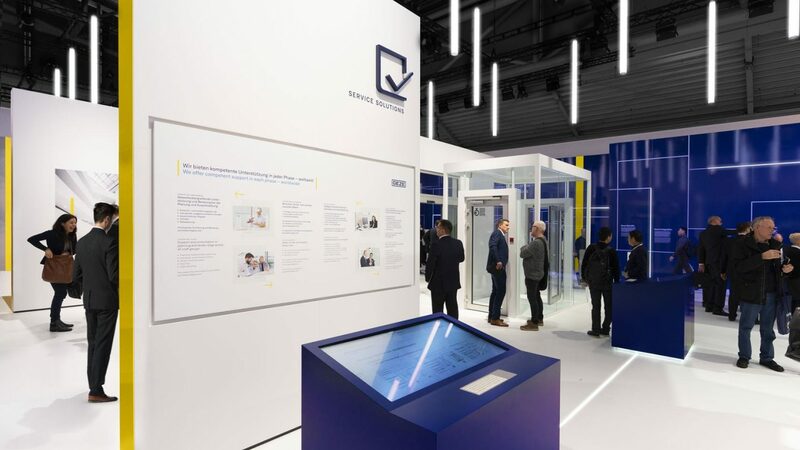 The company connects all stakeholders involved in project and building development in a powerful network. 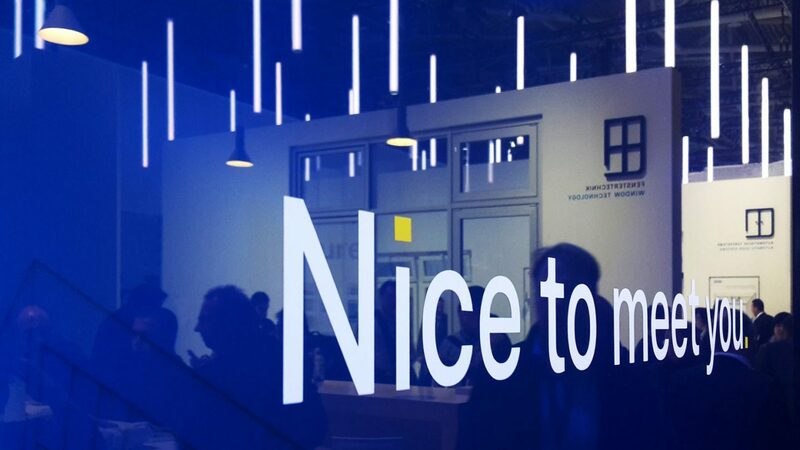 As the leading international trade fair for the industry, BAU has a special importance for the worldwide perception of the brand. 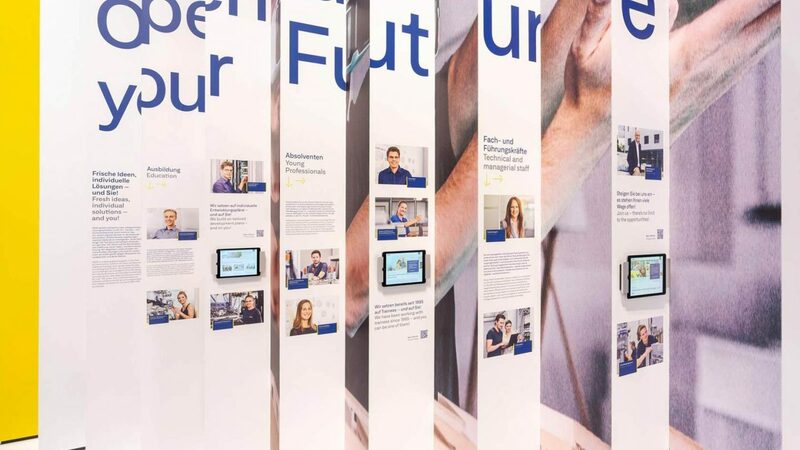 For the GEZE trade fair presence, Milla & Partner adapted their corporate design into the space and developed a platform for inspiration and dialogue. Yellow frames emphasize the GEZE highlights. 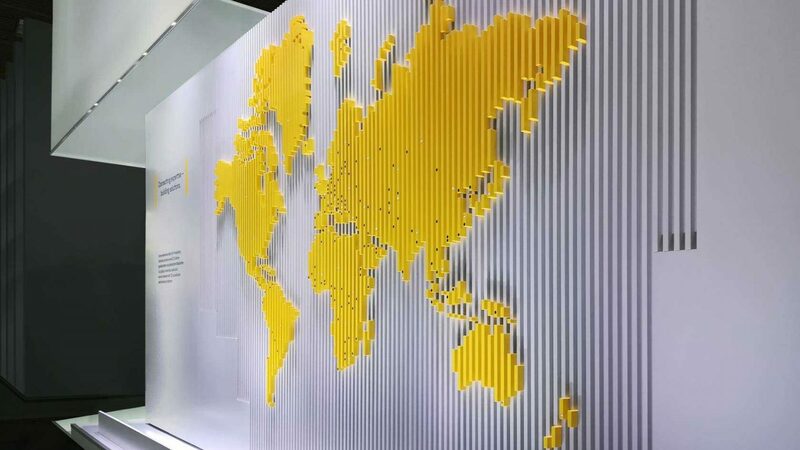 They are the starting point from which all areas develop, giving a clear orientation to visitors. 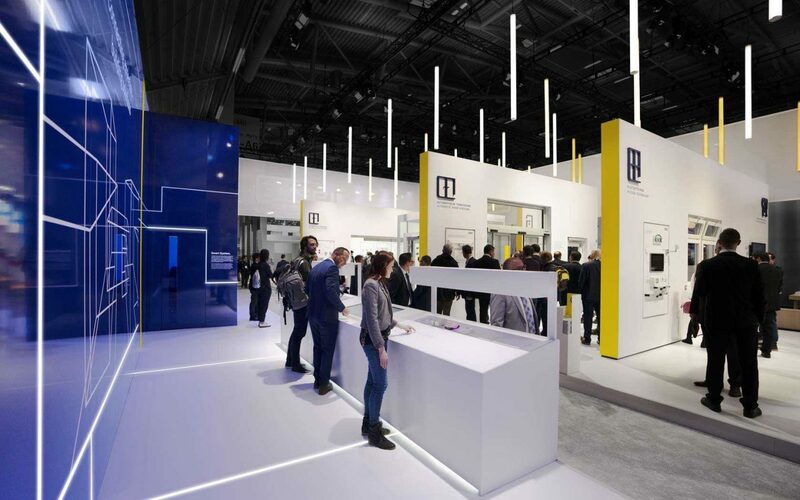 The open space, structured and product-oriented, arranges and displays new product ranges. Complemented by light pulses and clear contrasts on ceiling and a horizon to the side, GEZE´s aim of realizing livable buildings is markedly transported into the space. 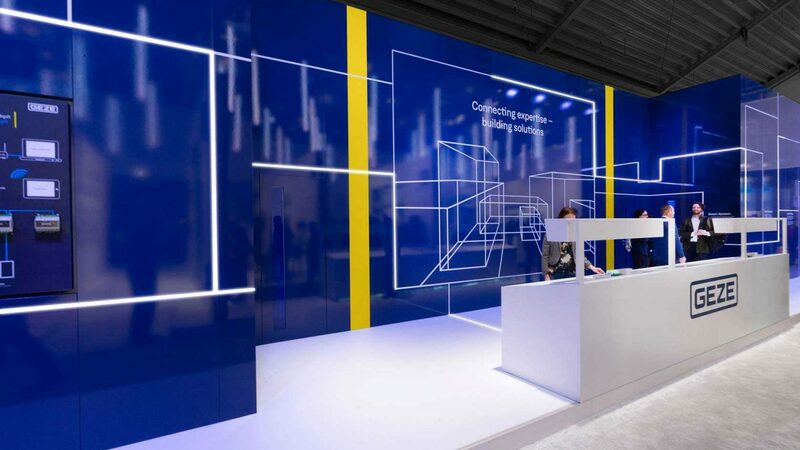 The stand architecture becomes a walk-in graphic with its own noticeably vivid aura. The stand area is covered by an alternating light ceiling with perpendicular light rods. 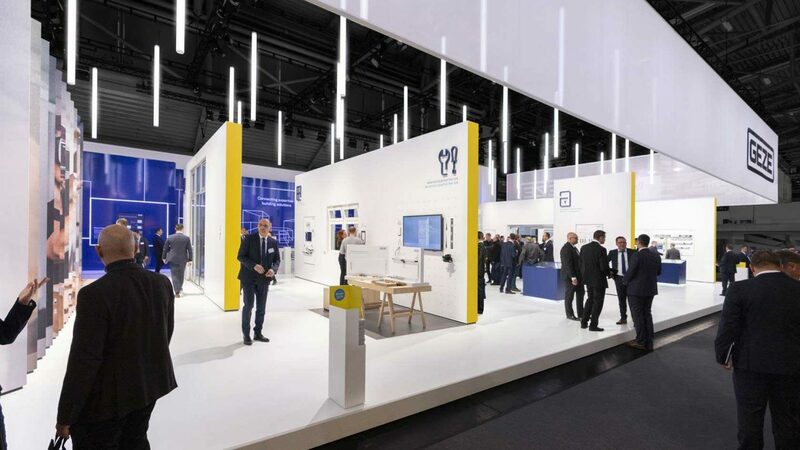 This "Active Field" is the lively attractor of the trade fair stand. The pulsating light plays with warmth and coolness, underscoring the company's technological expertise. It creates a soothing atmosphere that makes the sojourn pleasant and relaxing for visitors. 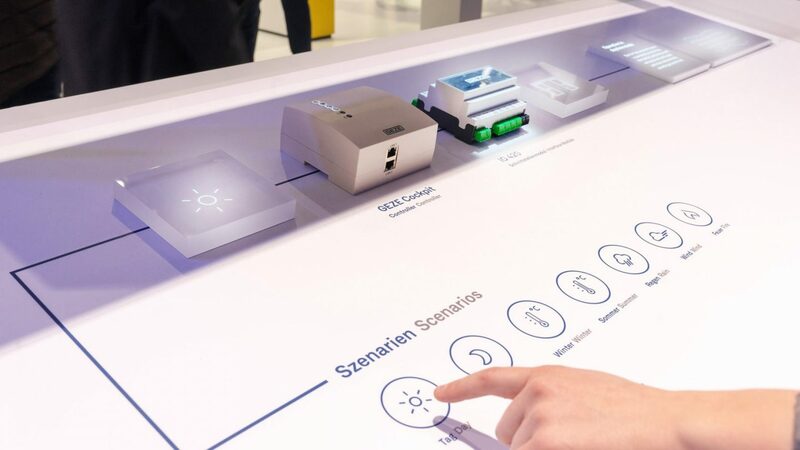 The innovative GEZE Cockpit building automation system is presented on the digitally oriented "future horizon" using an exhibit developed by the Milla & Partner Innovation Lab. The application supports presenters in an astonishing manner, creating communication opportunities with customers. Content can also be discovered by visitors in a self-explanatory modus without an explainer. 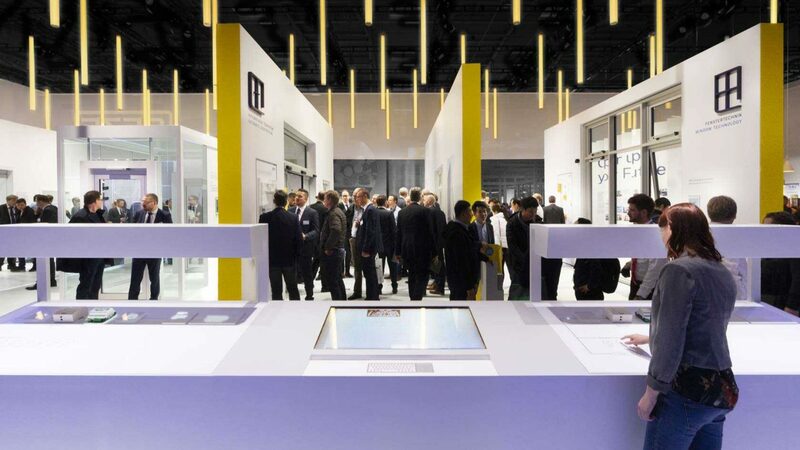 The exhibit can be reused after the fair, for example, in a showroom.